Naomi Freireich is no stranger to off-road challenges. In 2017 she became British National 24 hour MTB Champion in what was possibly the wettest Pivot TwentyFour12 race ever seen at the former World Cup mountain bike venue at Newnham Park, Plymouth. 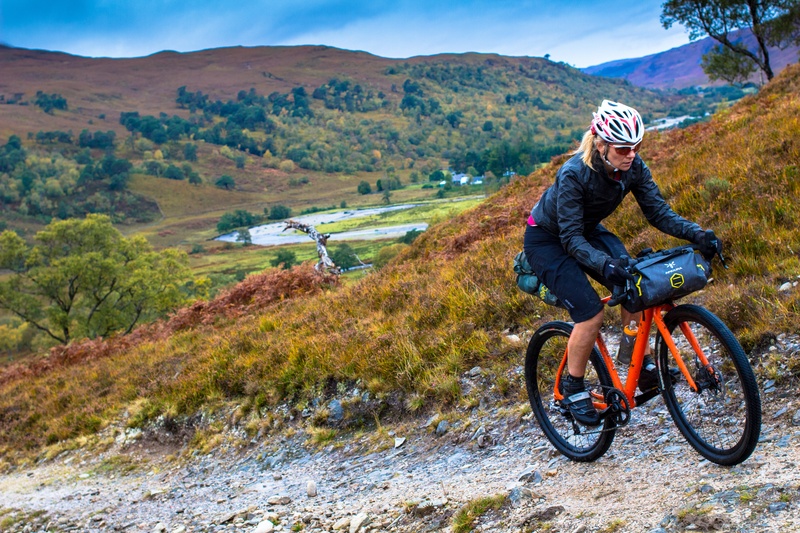 Not one to rest on her laurels, Naomi is aiming to push her limits even further and the logical next step for an endurance athlete is adventure cycling. 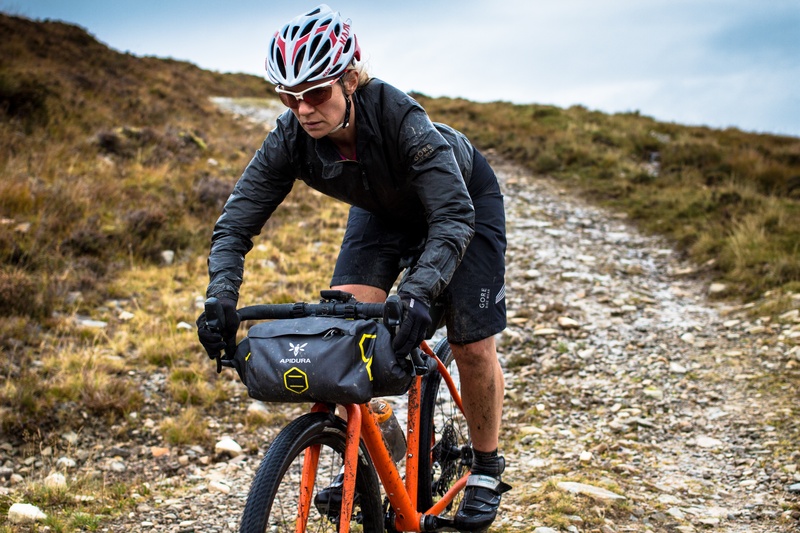 Read on as we talk about the necessity of chamois cream, training and bucket list adventures. Please take the time to introduce yourself. Hi, I’m Naomi Freireich. I’m a mum of 2, step-mum of 2 more and an IT Programme Manager based in Edinburgh. I am the current British 24 hour Mountain Bike Champion, a GORE Wear Athlete and excited to become one of the MASONites! 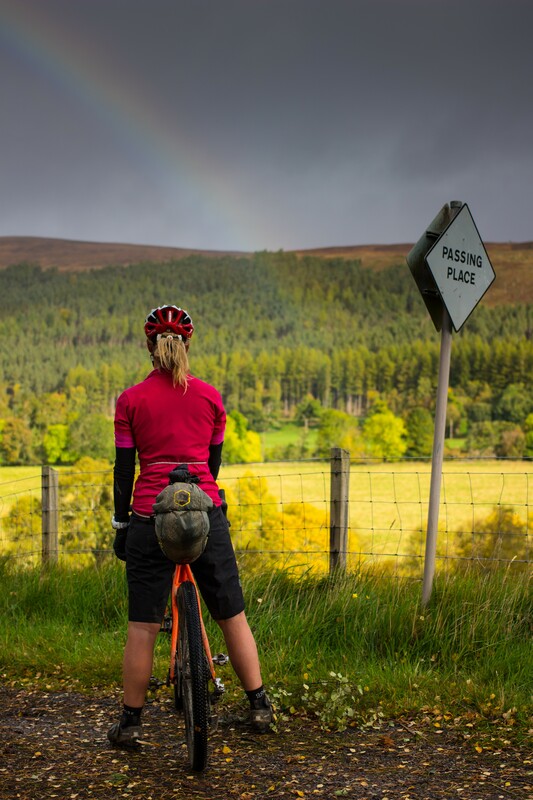 What made you seek adventure by bicycle? 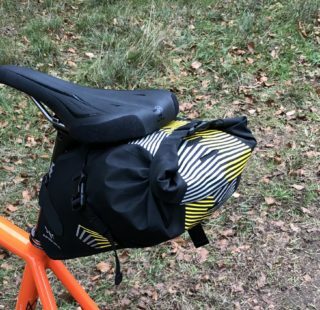 I’ve been cycling for about 8 years. It started as a means to get to and from work but very quickly grew into a passion and a way for me to rebuild my life after a damaging relationship. I have always loved exploring new trails by bike. The distance you can travel and the places you can go away from signs of other people, that escapism, demands self reliance which in turn makes me feel strong and independent. Of course, I love sharing the experience with others too! 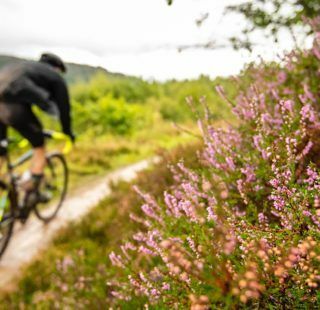 You are more well known for your exploits as an endurance mountain biker, what has triggered the move to adventure cycling? For me it’s about pushing my limits. I know I can ride non-stop for 27 hours, but what about 30? 50? Days? 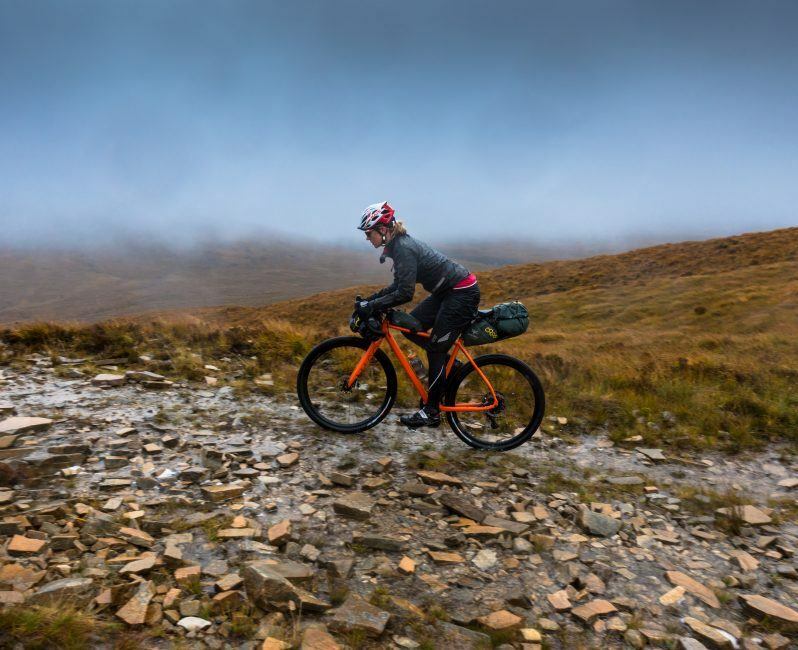 I love to challenge myself and adventure cycling definitely gives me that. And in combination with my love to exploring the wilderness, it seemed like the logical next step. How do you manage to balance work, family, relationships and training? Is it easy? Far from it. My family are my number one priority. I didn’t have children to then leave them and go off and satisfy my own desires for adventures. But at the same time I know they love how strong I am and I hope to be a good role model. So the weeks they are with me I base my training around their needs, turbo sessions or early morning rides. The weeks they are with their dad I can go further afield. I’m lucky to be a consultant in my line of work and so I have recently been able to fit my work around my other commitments. Sometimes that is harder than others. Then I have to be really imaginative! What sacrifices do you feel you have to make to fulfil your training? I’m lucky that my husband is also a keen endurance athlete. He’s an ultra runner, and so gets the amount of training I have to do. I think if he didn’t we’d feel like I was sacrificing my relationship. But we’re able to train together a lot which is amazing. I don’t ‘go out’ much, but to be honest it’s not high up on my list of things I enjoy anyway. Holidays are the only other thing, as most end up involving training or events. But I still make time for a family holiday too, even if I do take my bike along! Tell us about your bike, why you chose it, how you have modified to suit, etc. I was really lucky to be asked to ride a Mason Bokeh for a weekend trip I did with GORE. We rode the coast to coast route across North Scotland from Ullapool to Adrgay and back and it was incredible. As a mountain biker, I know how to ride technical terrain and the bike handled like a dream. Fast on the smoother stuff too, which I see as an advantage over a hardtail. It seemed like the obvious choice to ride the Silk Road Mountains race on, although I’ll be making a few alterations: flare bars, easier gearing (apparently it’s a bit hilly) and maybe some Lauf Forks to combat the toughness of the terrain over such an extended time. I’m playing around with things just now. 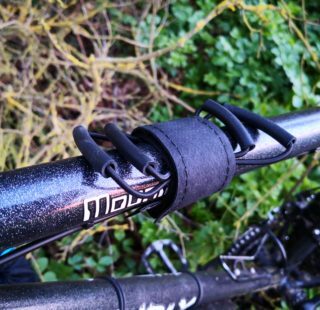 What is your favourite gadget or item that you can’t do without on a big ride? This is a tough one. I suspect it will change a lot the more time I spend in isolation for days on end. Right now though, it’s chamois cream! Actually, that may not change! With the riding I’ve done to date, nothing is more likely to keep me from getting back on my bike than sore nethers. Perhaps too much information, but true. What route or event would you suggest as a “must do“? I recently rode Glacier 360, a circumnavigation of the Langjokull glacier in Iceland. At 300km it’s comparatively short bearing in mind Silk Road will be 1700km, but it’s beautiful. Remote, barren wilderness, stunning glaciers and hot springs punctuating the route for your tired muscles. I’m definitely hoping to get back to Iceland and ride some more. After the Europeans and British 24 Hour mountain biking championships my friend, Nienke Oostra, and I are riding Offroad Finnmark 700. A 700km tour around arctic Norway in July, with 3 compulsory 3-hour stops but otherwise non-stop. No female team has completed it to date in its 10 years of running. It’s going to be incredible. 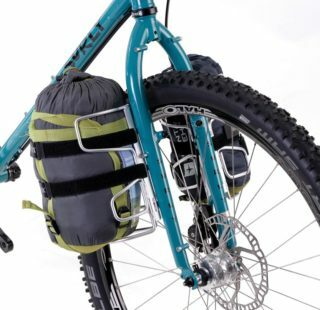 Any tips, advice, do’s or don’ts for the budding bikepacker? Don’t go out and buy all the kit first. Try with what you have or just get a few pieces. You’ll quickly work out what you do and don’t need and you’ll be surprised at what you can do without. But never scrimp on warm, waterproof clothing. Once you’re cold and wet it’s a hard route back to comfort. 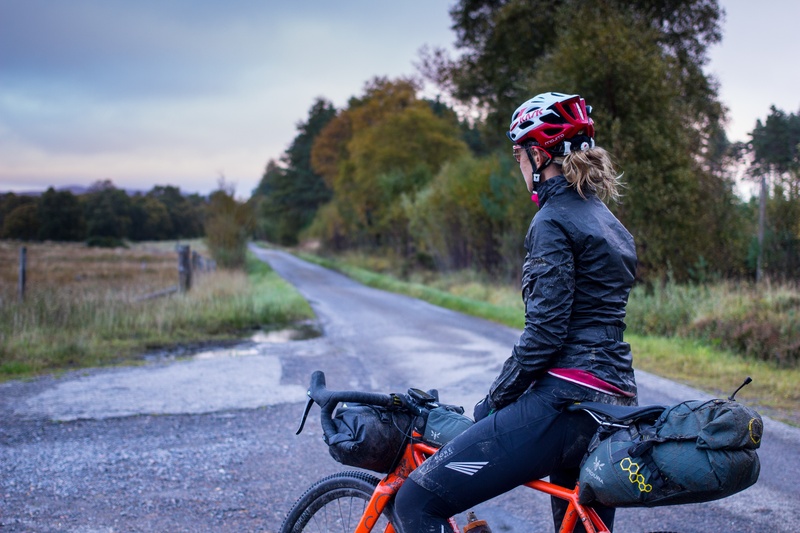 Oh, and it doesn’t have to be an epic 500km route for it to be an incredible bikepacking experience. And if you’re not racing, there’s ALWAYS space for beer. © All photos by Charlie Lees.